Did you ever stop to wonder: “Hey, what was the manliest thing anyone ever said?” Well, you need wonder no more. The quotes in this list are the rare real-life equivalents of the one-liners we’ve all seen Arnie and Bruce Willis spout in action movies. A quote of this type might not always be the safest thing to say, or the most realistic, or even the wisest. But it is indeed the manliest. 10. Damn the torpedoes! Full speed ahead! 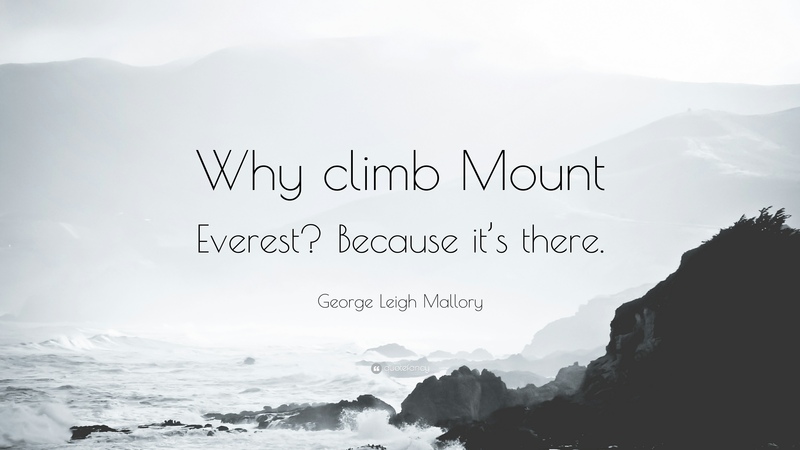 This was the terse response Mallory gave to a New York Times reporter, who wanted to know why he intended to climb Mt Everest. After all, even today people still die trying to climb the world’s tallest mountain, and this was back in 1923. Mallory’s words sum up the inner desire to explore and achieve, not for any outward gain, but just for the hell of it. 8. We shall have our fight in the shade! 7. 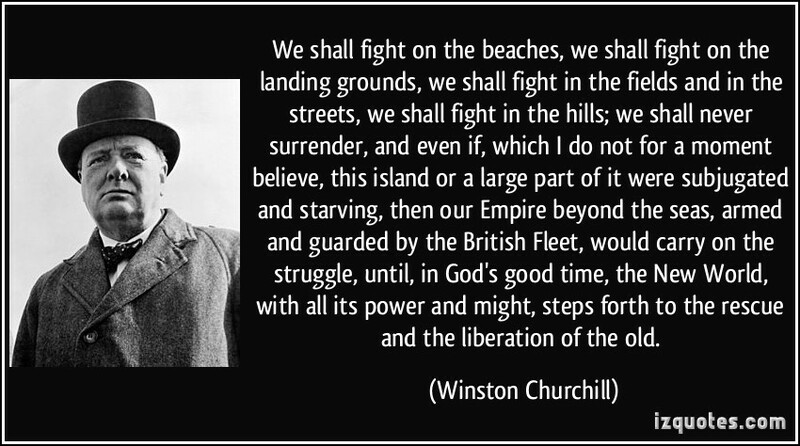 We shall fight on the beaches, we shall fight on the landing grounds, we shall fight in the fields and in the streets, we shall fight in the hills: we shall never surrender. In 1940, Nazis had reached the French shores closest to Britain, repelling the British troops that had fought there. An invasion of Britain appeared imminent, and Prime Minister Winston Churchill delivered a much-needed rousing address to parliament. 6. Friends, I shall ask you to be as quiet as possible. I don’t know whether you fully understand that I have just been shot; but it takes more than that to kill a Bull Moose. When he was campaigning in Milwaukee to try to regain his presidency, a would-be assassin shot Roosevelt in the chest with a .38 caliber pistol. The bullet pierced a bundle of paper – notes for a speech he was going to give – inside Roosevelt’s jacket, and lodged under one of his ribs. Good they didn’t use a teleprompter in those days. Hannie Schaft proves to us all that ‘manliness’ doesn’t always have to be literal. 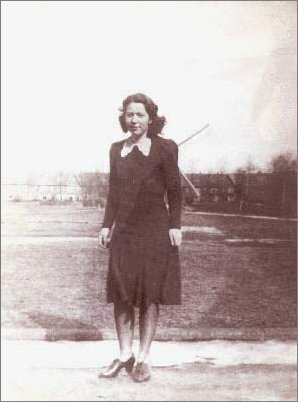 Schaft was a member of a resistance group in Nazi-occupied Holland, and had taken part in sabotage and assassinations. She was captured near the end of the war, and taken out to a remote area to be executed. The group escorting her included Maarten Kuiper, a Dutch SS officer who had also been involved in the arrest of Anne Frank. This all-around nice guy took a shot at 24-year-old Schaft, but only wounded her. Unafraid, Schaft taunted him for his poor aim, prompting Kuiper to shoot her again. Hopefully he went home and cried afterward. 4. This is a good day to die! 3. I am just going outside. I may be some time. Things didn’t go well on the 1912 British expedition to the South Pole led by Robert Scott. Five men including Captain Oates traveled over 1,000 miles in 79 days, only to discover when they got there they’d been beaten to the Pole by a group of Norwegians. 2. I have not yet begun to fight! Sailors, apparently, are good at making manly quotes. 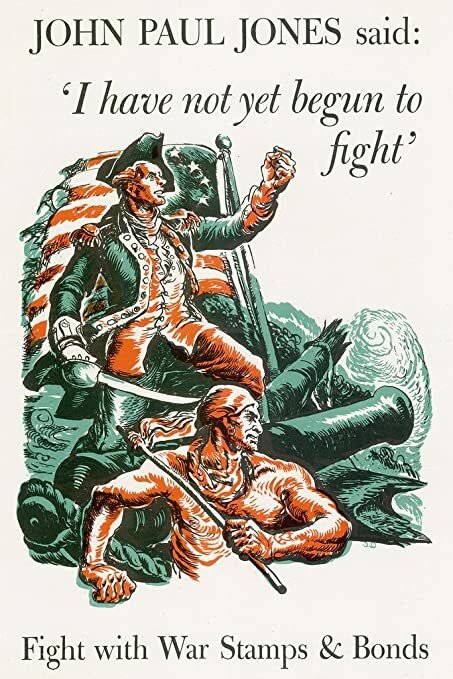 John Paul Jones, a naval officer in the Revolutionary War, took on the British HMS Serapis in 1779, while off the coast of England. His ship, the outgunned Bonhomme Richard, was hit by both enemy and friendly fire. At a low point, the Serapis’ captain called out “Have you struck your colors?”, meaning surrender. 1. Do what is right because it is right, and leave it alone. The year was 1940, and the Nazis were about to invade Lithuania. Chiune Sugihara, employee at the local Japanese consul, found himself swamped by a desperate crowd of Jewish refugees. They needed transit visas so that the Soviets, then in power, would let them leave the country. Although Japan was technically a Nazi ally at the time, Sugihara decided “screw it” and started on a renegade visa-issuing rampage, working up to 20 hours a day to create thousands of life-saving permits. It’s estimated that 40,000 people are alive today because of what Sugihara did. We’re not dealing with fiction. That’s uncalled for. Who can say it is fiction and it be 100% true? So if we go by your logic, Caesar was a made-up legend because there is no actual proof of his existence other than ancient writings. Alexander the Great did not Conquer all of the (then) known world because there are no pictures or proof – only ancient carvings. If there are ancient carvings, plural, it is stronger evidence than a single bible. You are entitled to hold wrong opinions but don’t be so assertive about them . A single Bible is more valuable and meaningful to the world than all the silly totem poles and false idols ever carved in history. The Bible has a lot of history! It’s been re-edited and translated so many times, almost everyone’s had a hand in writing it! Oh sorry, How about the dead sea scrolls, or the ark( it’s been found. Mt. Ararat), or Josephus the Roman historian? Or logic? All of them have proved the Bible. I’m sorry, logic? How has this proved anything at all in the bible…the ark at Ararat is a random formation of rock that resembles a large ship. That proves absolutely nothing. Also, “ancient carvings” did not exactly detail Alexander or Caesar’s lives. There are plenty of written records about them, from multiple sources. However, to be fair, the bible is technically not a single book. It was written over a number of years by many different people, and edited by many. Actually, much of the original writings were left out of the final copy, found in the King James version. DS… theres no logic in comparing the history of the Jesus story to Alexander the great who is recorded in multiple cultures that would have had no contact if not for him. Its logical to assume a man called Jesus existed but ONLY because of how quickly the story spread and how made up tales (like King Arthur for example) take centuries to become folklore. I always kinda figured that one was a tad wussy. I’m not sure why, it just always seemed incredibly… wussy. Excellent number one, and a great list all around. It’s been said on May 5, 1939 as an answer to German teritorial demands. This, this was epic. A simple saying of “Bring it!” IF i was an opposing commander I would be hesitant to engage. At the very least give my opponent all my respect for having such tremendous balls. I love this quote. Thanks for sharing. Made me smile. Giles Corey was arrested on April 18, 1692, and accused of witchcraft. Corey refused to plead (guilty or not guilty), was committed to jail and subsequently arraigned at the September sitting of the court. According to the law at the time, a person who refused to plead could not be tried. To avoid persons cheating justice, the legal remedy for refusing to plead was “peine forte et dure”. In this process the prisoner is stripped naked, with a heavy board laid on their body. Then rocks or boulders are laid on the plank of wood. This was the process of being pressed. Finally after two days, Giles Corey cried out “More weight!” and died. interestingly, i live in Uxbridge… (uxbridge being a place in West london, UK). This was supposedly said by General MacAuliffe when surrounded by Nazis during the Battle of the Bulge in 1944. In reality, it’s believed he said something unprintable. An ARMY PR flack cleaned it up and informed the media after the good General and his troops prevailed. Nathan Hale, arrested for being a spy during the Revolutionary War, and about to be hanged by the British said “I regret that I only have one life to give to my country”. Actually Che’s last words were …. “I know you are here to kill me. Shoot, coward, you are only going to kill a man.” Sorry but far less ballsy then telling someone to criticize their posture! Of course his comment when captured – “Do not shoot! I am Che Guevara and worth more to you alive than dead” was REAL manly! By Spartan mothers (to their sons when they went off to battle): “Come back with your shield or on it” (meaning come back with your shield, victorious, or carried back dead on it). You probably could have filled the whole list by Spartan quotes, and not just from the men. The Spartan women were also pretty manly. Gotta give the best quote to the Spartan’s …… when commanded by Xerxes’ messanger to lay down their weapons King Leonidas replied – “Come and take them!” Now THAT is badAzzz!